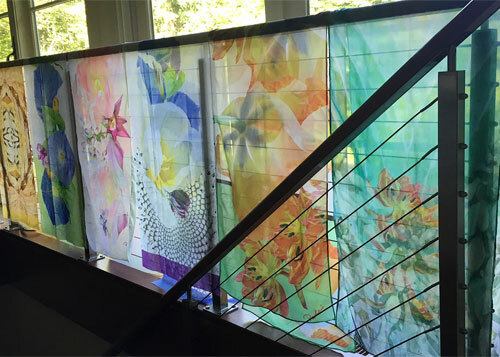 Although I tried to incorporate morning glory images into pillows, they work much better on scarves. 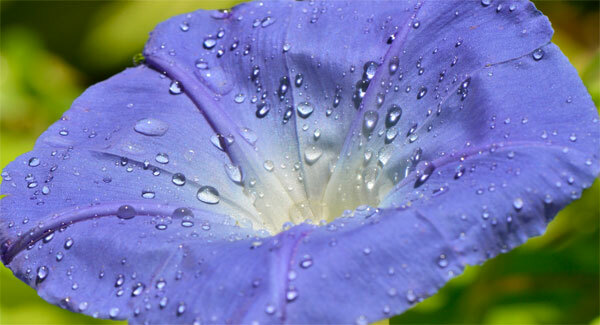 Morning Glories are pristine vehicles of light, sun and water. They have one day to live and they do it all. Their shape is not as dramatic as other flowers, their color is also challenging to print as it requires careful translation. But how glorious they are in the morning! The latest order of chiffon is in and getting processed into scarves. By that I mean, the “Made in America” part. When I get a design back from the printer, I wash, cut, baste, sew, baste again, sew and press. And soon, they’ll be gone again making people beautiful. My favorite part? Sharing my garden with others. You can see some of the active designs here…some of the ones in the photo here, are auditioning. It’s still a little early in CT for the morning glories to bloom. 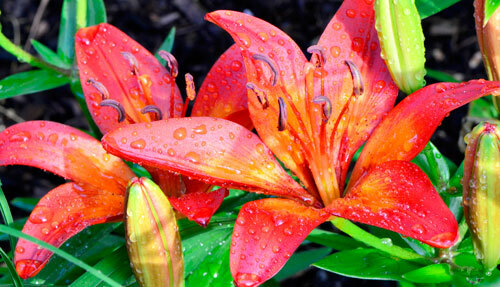 But the lilies are starting. Ever notice how certain colors congregate at the same time? I’ve been seeing a lot of orange and yellow of late. 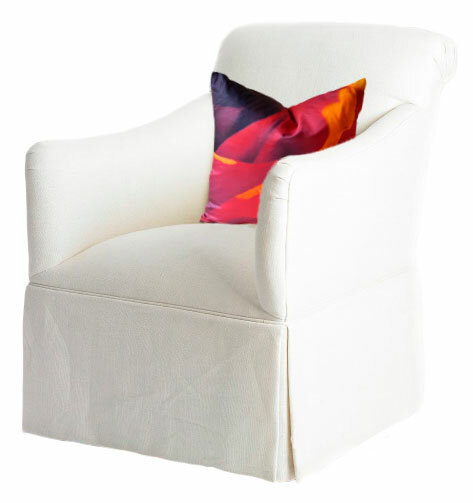 Then again, Paola Pillows are in stock and love to travel. Thomas Lee Flanagan grew up in Detroit- a jazz composer and pianist- well known for being Ella Fitzgerald’s longtime accompanist. Tommy Flanagan recorded more than three dozen albums in his own name and was one of the most widely admired and inspirational jazz pianists. Angel Eyes, a great summer song to listen to with the screen doors open and the tree frogs playing along.